LVORC has been selected again to be a beneficiary of the “Hannaford Helps” Reusable Bag Program featuring the bright blue Good Karma bag. The program which began on October 15th has been extended through March 31st, 2016. For every blue “Hannaford Helps” Reusable Bag purchased at the Lansingburgh, N.Y. Hannaford at 9 126th St, Troy, Literacy Volunteers of Rensselaer County will receive a $1 donation. 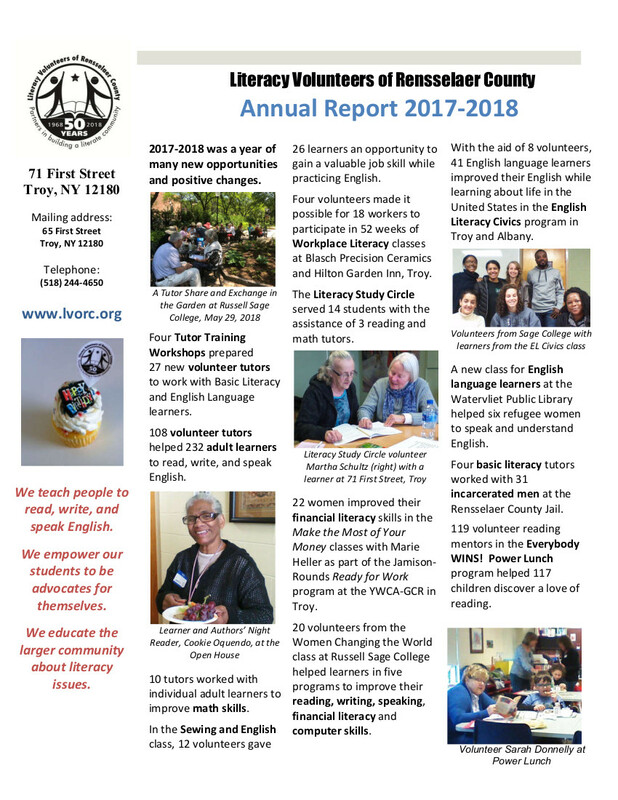 LVORC depends on this kind of support to fulfill its mission of teaching people to read, write and speak English; empowering learners to be advocates for themselves, and educating the larger community about literacy issues.